There are many reasons for power outages to occur. They can be on going for a long or short period of time and they can also happen whether you are at home or not. We are very dependent on electricity so it can be difficult when this happens. Our appliances, heating and air systems, computers and so much more, are all ran and rely from it. However, there are practical ways to take in order for you to reduce the difficulties that it brings and properly cope every single time this situation occurs. Just like the Girls’ and Boys’ Scouts, it is a very good motto in handling power outages. Below are just some of the steps that you have to take prior to a power failure. * Always keep a properly- working battery-operated radio. In an occurrence of a blackout, you have to know the happenings outside. This is a very good source of news and still be in the comforts of your humble abode as apparently you cannot turn on the television. * Know what stations that broadcast all day long and are reliable on giving information during outages. such, you might have to plan longer. Also don't ever forget your pets’ food and water. * Accumulate extra bedding and clothing for all types of weather. * For every room or office, keep a flashlight on hand. Check periodically if it needs replacement batteries or better yet, keep extra batteries just to be sure. You can also use candles just as long as one is extra careful in lighting and using them. There are a lot of battery-operated candles in the market today and most of them are remote controlled. This makes it easier in providing some sort of lighting. * Store an appropriate number of batteries suitable for the devices that you're going to use such as the battery candles, radio and flashlights. * For your cell phones, invest on a charger that’s battery-operated to keep it charged. 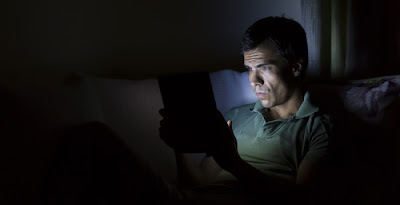 You have to keep it working even in a power outage as it could also be a good source of information. * Make sure you plan activities particularly for the kids to make the situation a least bit tolerable. In the world we live in today, it can be stressful when electronics are unavailable not just for adults but for the young children as well. * If the area you live in experiences frequent power outages, you may want to consider purchasing even a small generator. Also learn how to use it prior an outage happens and have it professionally checked periodically. As soon as there is power outage, it is essential that you do not panic, have a clear head in order for you to think straight and immediately take action! * Determine what caused the power outage as soon as it occurs. Use your battery-operated radio or whatever means that’s available. It can make a big difference in your planning. Take note that local property management companies couldn't and doesn't control utility power outages. * Determine the whereabouts of everyone that resides in your own household and know whether they are safe. * Check gas tubes. Determine if there is a danger from gas leakage. Once you get a whiff of gas, leave your house immediately and contact an emergency service while also keeping all your household members away from possibly dangerous power lines. * Thoroughly check the outside of your house for downed power lines. Once you spot them, avoid them completely and do the best that you can in contacting an emergency service. * Turn off all your appliances immediately so that as soon as the power gets back and if it does so suddenly, you wont be experiencing power surges or damage. Just leave a small lamp on for an indication that the power returned. * Keep all your windows and doors locked. You wouldn't want any unwanted intruders in your house. But if you need ventilation, open certain ones that are the closest to you. * Keep your refrigerator closed and only open them when it is necessary. Cold foods can be kept inside the fridge for four hours minimum but if you open it seldom it could last up to two days, provided that it is full, without electricity. 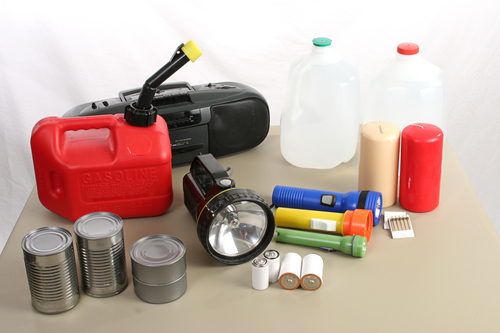 * If the power failure occurred while you were out of the house, check and ensure that your stored food is safe. The freezer might now contain melted ice, thawed food and excessive frost. * Use only a bottled water when you’re thirsty as there might be contamination during a certain type of emergency. * If you took my advice and bought a generator, make sure you follow every single direction that is stated in the manual. There is a danger of adding carbon monoxide in your residence and it could lead to poisoning. Generators are best used and stored outside of your house. * Limit everyone’s cell phone activity in order to prolong its usage during an outage as long as it’s still up and running. You can use them to call emergency hot-lines. * As soon as the power failure is over, notify immediately the property management company you belong to if you had experienced a repair problem. * Reset electric clocks, recorders and alarm clocks if needed. By being prepared and taking the steps that are stated above, you will be able to get through the difficulties that power outages bring about. Use your common sense and it would be easy for you to cope up with a power failure. This can make a lot of difference in keeping you and your family safe. Just remember to stay calm and that the electricity will be back as soon as possible. Your suppliers for electricity are working very hard and around the clock to quickly restore your service.